Destino, a branch of Cru, is a national campus ministry organization that seeks to bring the gospel of Jesus Christ to every community in the world. Destino specifically focuses on communicating Jesus, the gospel, and God's Word through a Latino culture and lens. Check out Mason's Destino movement on facebook in the group: GMU Destino. 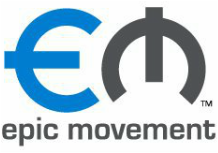 Epic, a branch of Cru, is a national campus ministry organization that seeks to reach Asian American students and faculty by putting the gospel of Jesus Christ into a context that speaks to them. Epic’s mission and heart are that every Asian American student would know someone who truly follows Jesus as Lord and Savior. Check out Mason's Epic movement at gmuepic.com and on facebook. A partnering ministry taking the truth of Jesus Christ to the campus, community and world by producing leaders of African American descent. Contact Kevin Wright for more info: apostolicvizionary80@gmail.com.